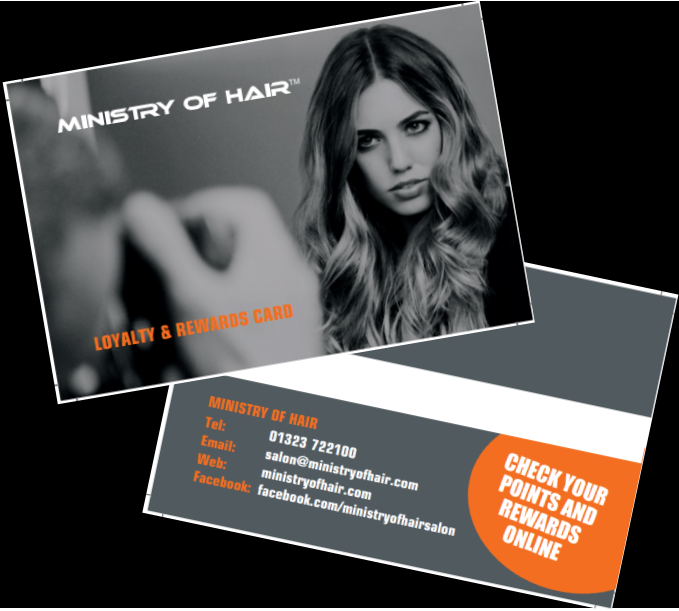 We are excited to launch our brand new Ministry Of Hair Loyalty and Reward Card. With this new card you will receive a fantastic 4 points for every £1 spent on services in salon. These points can then be used against vouchers, services and products. We will be offering ‘Points Boost’ opportunities throughout the year. Points can be redeemed at anytime in salon against services or retail. A maximum of 2500 points can be redeemed per transaction. Look out for Social Media Points Boost opportunities.